A charitable remainder trust is designed to allow you and your beneficiaries to benefit from your assets during your lifetime but give the assets to charity when you die. The creator, or "settlor," of the charitable remainder trust can set the trust up using a will; these trusts are known as testamentary charitable remainder trusts. But will and trust law is state-specific, so the creation and operation of both the trust and will must follow your particular state's laws. A charitable remainder trust (CRT) is designed to become charitable after you die. Here's how it works: you, the settlor, make a legal transfer of your assets to a trustee (who is often yourself, but may be another person, company or other legal entity). The trustee then manages the assets, making occasional distributions to a beneficiary (in a nontestamentary CRT, the beneficiary can also be the settlor). In a CRT, the right to receive these distributions will eventually transfer to a second beneficiary, usually a charitable organization. What distinguishes the CRT from other types of trusts is that your second, charitable beneficiary must be "indefinite," meaning language in the trust can't name specific people. In order to ensure the trust is charitable rather than designed to benefit only a few people that you know, the law demands that you name a group of beneficiaries who have common traits. For instance, you might name "people with Parkinson's disease" as your charitable beneficiaries, but "my son Scott, who has Parkinson's disease" would not be acceptable. If you set up a charitable remainder trust using your will, the trust will operate a bit differently. CRTs created in a will, known as testamentary CRTs, don't begin to operate until you die and your will is probated. So they're usually designed to benefit someone other than yourself for a period of time after your death before transferring the remaining assets to charity. Someone creating a testamentary CRT will often designate his spouse or any children who survive him as the initial beneficiaries. You can make changes to a testamentary CRT, or cancel the trust altogether, any time before you die. But once you die, the trust becomes irrevocable, meaning it can't change or end, except in ways you have described in the language of the trust. The timing for when your CRT's distributions will transfer from its initial, noncharitable beneficiary to charitable beneficiaries is specific to the individual trust. Some settlors choose to make distributions to the noncharitable beneficiary for the rest of that beneficiary's life then transfer distributions to charity upon her death. Other settlors choose to simply name a period of years (for instance, 10 or 20 years) before the distributions will transfer to the charitable beneficiaries. 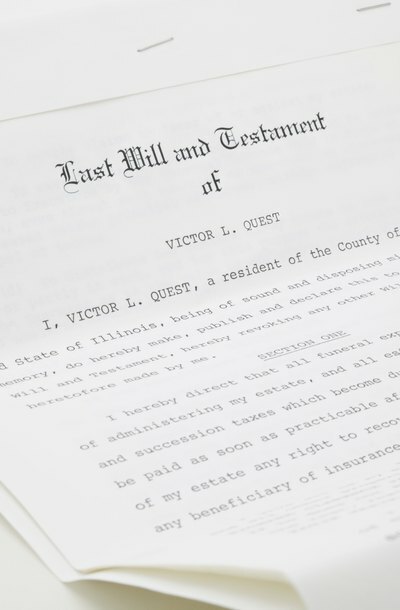 In addition to being able to care for loved ones and give to charity, settlors choose to create testamentary CRTs because they can offer both federal and state tax advantages. Absent special circumstances, a charitable gift upon death will generally be deductible from your estate tax. The CRT may also protect its assets from capital gains taxes upon transfer. Coleman Law Firm: What is a Charitable Remainder Trust (CRT)?